When a young boy hears the stories of a whale as she swims down the river, he asks his family if they can hear them too. But only he can hear her stories as she shares her good times but most importantly she shares with him her darkest times and the boy needs to find a way to make things better. Welcome Home is the story of a history of whaling in Australian waters and the near decimation of the southern right whale, called as such as it was 'the right whale to hunt'. Inspired by the return of a whale to the Hobart's Derwent River to calve, the first to return to the once thriving whale nursery in over 190 years, this story follows the journey of the whale as she tries to determine if it is safe once again. 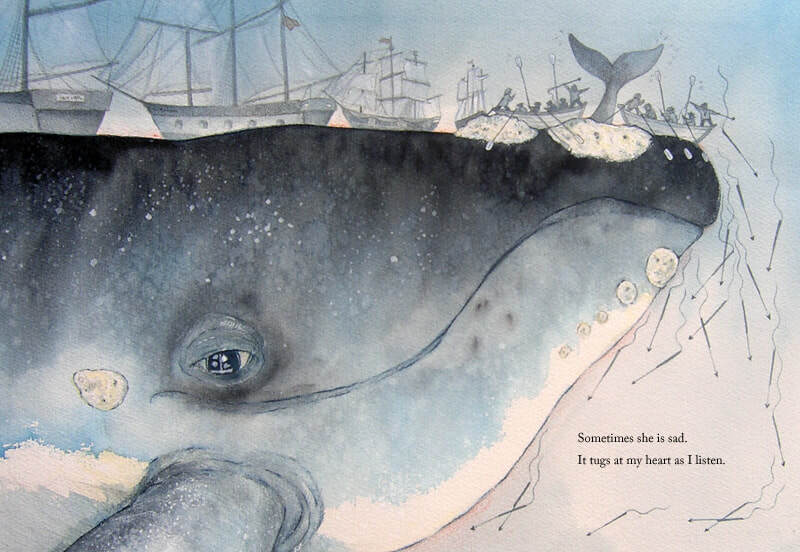 A safe journey for children into the dark history of whaling and what it means for our future. A story of hope and forgiveness.